Dunrobin Castle is the most northerly of Scotland's great houses and the largest in the Northern Highlands with 189 rooms. 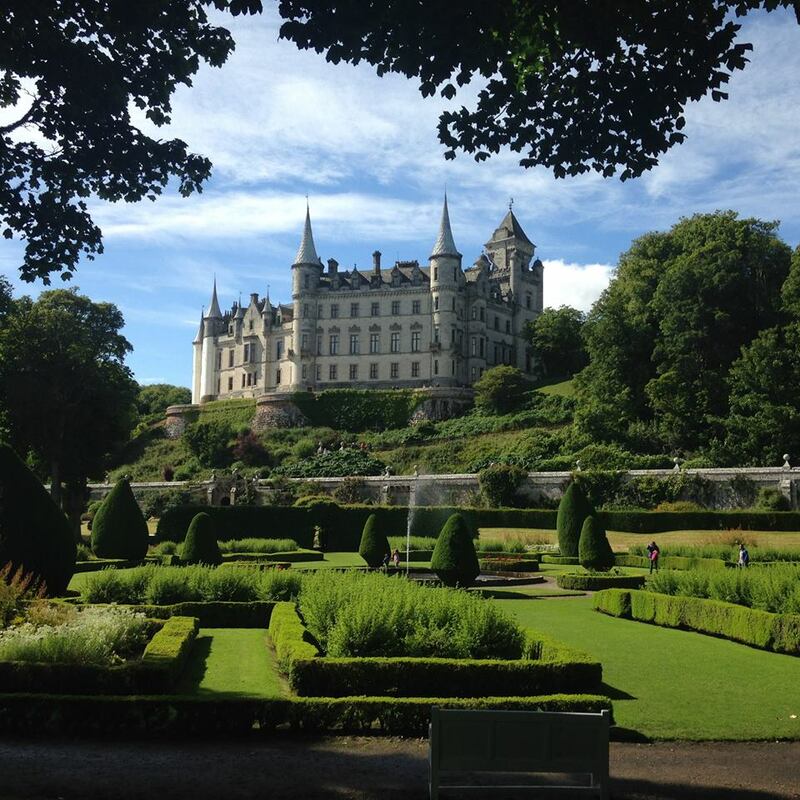 Dunrobin Castle is also one of Britain's oldest continuously inhabited houses dating back to the early 1300s, home to the Earls and later, the Dukes of Sutherland. The Castle, which resembles a French chateâu with its towering conical spires, has seen the architectural influences of Sir Charles Barry, who designed London’s Houses of Parliament, and Scotland’s own Sir Robert Lorimer. The Castle was used as a naval hospital during the First World War and as a boys’ boarding school from 1965 to 1972. Dunrobin Castle is on the east coast of the Northern Highlands overlooking the Moray Firth, just north of the villages of Golspie and Dornoch.